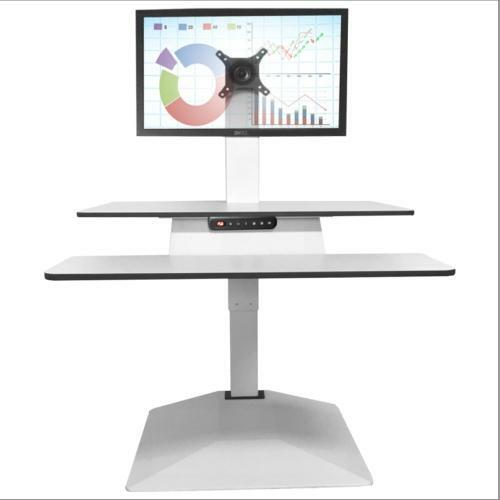 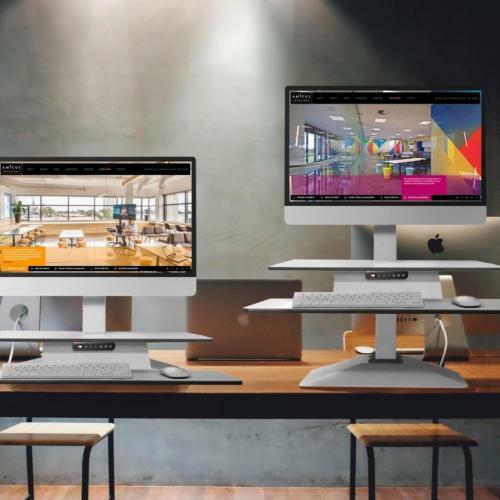 Standesk converts your existing desk into a Sit Stand Height Adjustable Workstation. 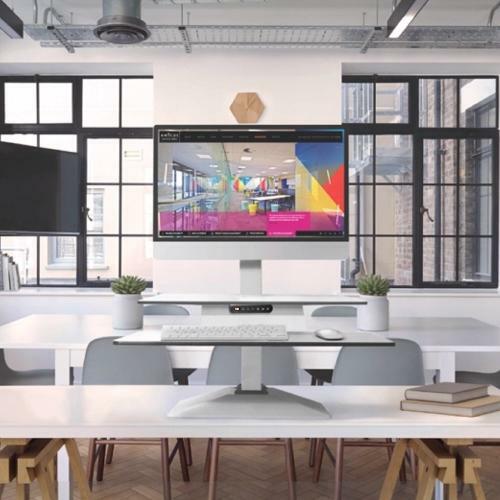 With infinite height positions at the touch of the button, the Standesk has a small footprint, and adjusts vertically to fit into any space. 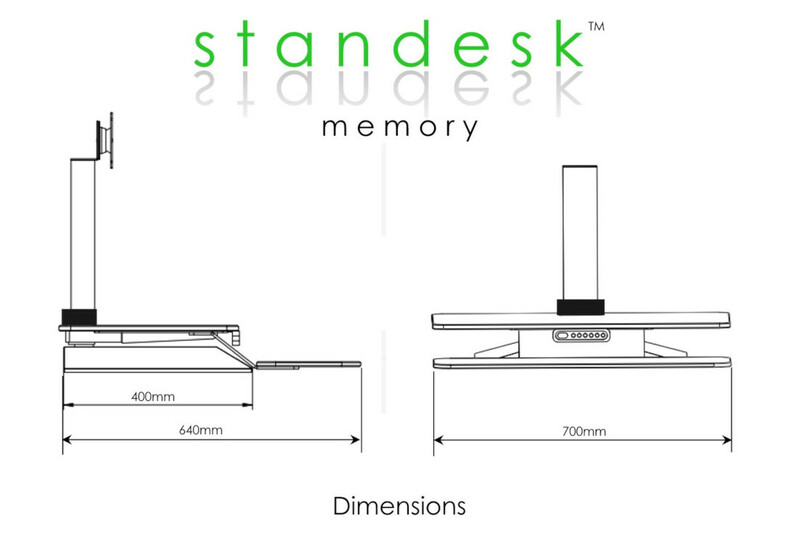 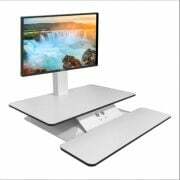 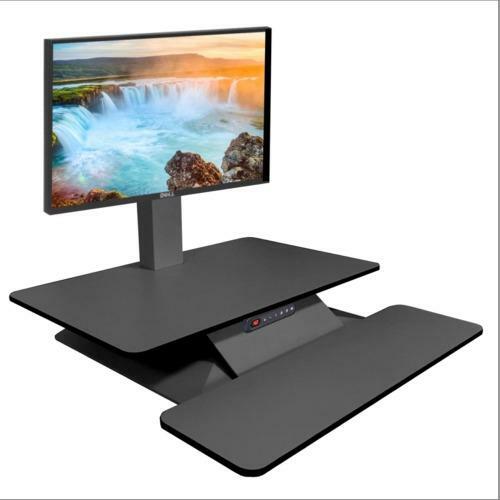 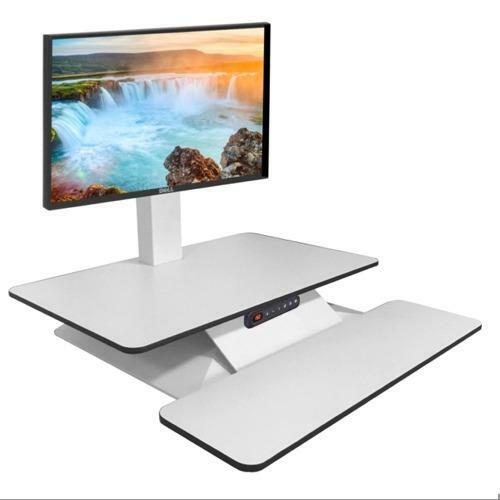 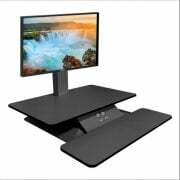 Standesk provides a work surface and separate Keyboard/Mouse tray.